Preliminary guidelines by the OFT say online game payments made by children will not be deemed authorised, and should not be taken, unless the account holder - such as a parent - has given their informed consent. It also said that consumers should be told upfront about potential costs for playing the games. The way the sector has worked with us since we launched our investigation is encouraging, and we've already seen some positive changes to its practices. These principles provide a clear benchmark for how games makers should be operating. Once they are finalised, we will expect the industry to follow them, or risk enforcement action. The online gaming industry has been warned over "pay to play" games that target impressionable youngsters, under proposed principles drawn up by the Office of Fair Trading. An OFT investigation found that some games include "potentially unfair and aggressive commercial practices to which children may be particularly susceptible", such as implying that the player would somehow be failing other players, or characters, if they did not buy content. The regulator said such practices blurred the distinction between spending virtual currency and real money and used statements or images to encourage children to make a purchase. A guide to how to turn off in-app purchases on an iPad to avoid potentially running up expensive costs. We have uncovered evidence that some payday lenders are acting in ways that are so serious that we have already opened formal investigations against them. It is also clear that, across the sector, lenders need to improve their business practices or risk enforcement action. Our report shows that a large number of payday loans are not repaid on time. I would urge anyone thinking about taking out a payday loan to make sure they fully understand the costs involved so they can be sure they can afford to repay it. The adequacy of checks made by some lenders on whether loans will be affordable for borrowers. The proportion of loans that are not repaid on time. The frequency with which some lenders roll over or refinance loans. The lack of forbearance shown by some lenders when borrowers get into financial difficulty. The Office of Fair Trading has delighted some by asking for evidence to see if consumers are being ripped off by petrol companies. 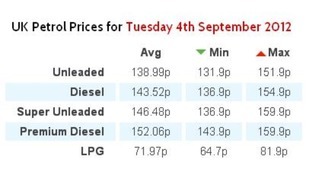 The latest figures showing average UK fuel prices, according to PetrolPrices.com, a website designed to save motorists money. Clearly, the OFT is independent and this is a matter for them. But if they think that there are problems in the way these markets are functioning and that is having an adverse effect on consumers, then they need to investigate. An independent motoring research charity has welcomed the news that the Office of Fair Trading will be gathering information on the price of petrol and diesel in the UK. We have always argued for pricing transparency and this review promises to provide it. There has long been a suspicion amongst drivers that pump prices are much quicker to rise than fall. Now at last we should get a definitive answer on how the market works. 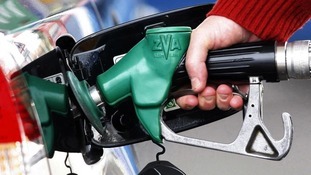 We also welcome scrutiny of what the rapid decline in the number of petrol stations has meant for fuel supply and price. In 1990 there were some 18,000 forecourts. Now there are fewer than 9,000.